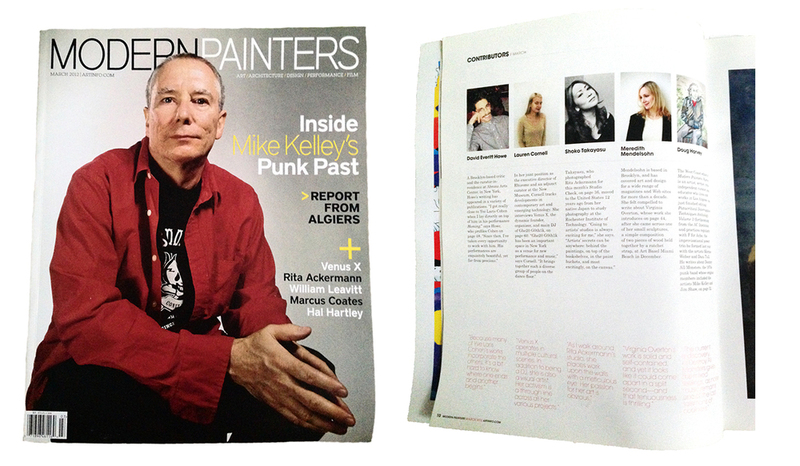 This is a little older issue of Modern Painters when respected artist who is no longer with us Mike Kelly was on the cover. I was asked to be on the contributor page. For that issue, I visited Rita Ackermann's studio and photographed.